HIGH POINT, N.C. – The Atlantic League of Professional Baseball (ALPB) reached a new working agreement with Major League Baseball (MLB) the two sides announced on Tuesday. As part of the three-year partnership, the High Point Rockers and all other Atlantic League teams will have new radar and statistical tracking technology installed and implemented in their ballparks for the 2019 season, while also testing experimental playing rules and equipment changes contemplated by Major League Baseball. When they open their inaugural season at the state-of-the-art BB&T Point, the Rockers will be able to use the new radar tracking software to better scout, analyze, and develop players for the Major Leagues. This information, currently being used by all Double-A and Triple-A clubs, will also be sent to each MLB team, allowing for more advanced scouting of Rockers players. Using this information will dramatically increase the likelihood of players having the opportunity to be signed by big league clubs, while also allowing High Point to attract higher caliber talent to join their roster. The radar tracing systems measure 27 different data points per play including spin rate, pitch velocity, exit speed, launch angle, and more using multiple cameras and data analytics software, currently managed by MLB Advanced Media. 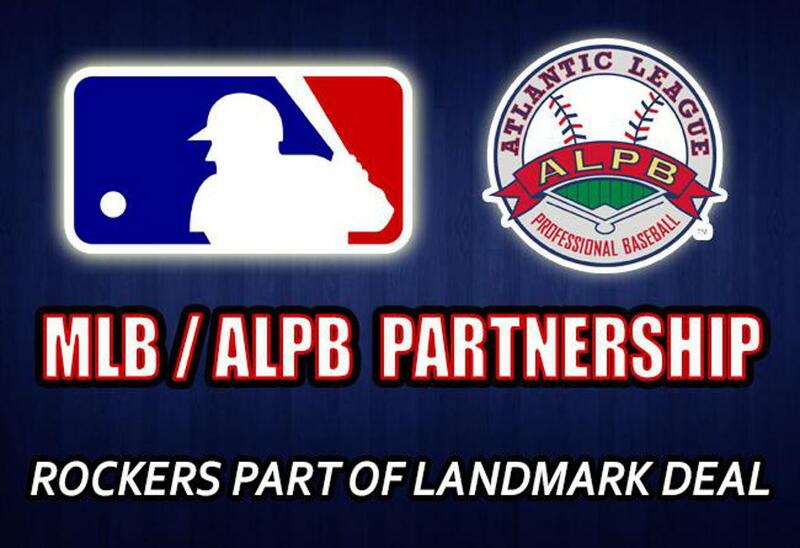 While the new technology is a welcome addition for the newest Atlantic League team, MLB officials also applauded the agreement, noting the high level of play in the ALPB as a main reason for this new working agreement. Technology will be just one of the new aspects fans in High Point can expect to see as part of the partnership. Over the three years of the agreement, the ALPB will implement new initiatives in order to study the potential impacts of the on-field product. Several of those experimental playing rules and equipment changes will take place this season, with several taking effect on Opening Day. “We are constantly discussing adjustments to our rules in order to create the most compelling on-field product for our fans,” Sword noted. “We hope that some of the best ideas about the future of our game will be on display first in the Atlantic League. Those changes that produce a more exciting game will receive strong consideration for implementation at the Major and Minor League levels. The 2019 rules initiatives will be announced in coming days and will be in place for the beginning of ALPB’s Championship Season. These rules have been developed to promote player safety, create a more exciting brand of baseball, make games more competitive, and quicken the pace of the game while increasing fan engagement. After seeing the impacts they have in the Atlantic League, Major League officials will determine whether or not the rule changes will become an everyday part of baseball at its highest level. For ongoing updates and more information, slide to www.HighPointRockers.com or visit Facebook at @HighPointBaseball, Instagram at @HighPointRockers, and Twitter at @RockersBaseball.